Kells Academy is committed to instilling strong, universal values in its students, teaching them the importance of positive action, community service, empathetic acts of kindness, and global friendships, and students have recently put these values into action by forming their own chapters of the WE Club and giving back to the community. WE Charity, formerly known as Free the Children, is an organization focused on international development and youth empowerment. Founded by Craig Kielburger in 1995, when he was only twelve years old, the organization has since evolved into one of the top-rated charities in Canada, running development programs in nine countries, as well as programs in the US, UK, and Canada aimed at inspiring children and youth to become socially engaged global citizens. The charity aims to break cycles of poverty around the world by focusing on five key pillars: education, water, health, food, and opportunity. Here’s how students at Kells Academy have taken up WE Charity’s mission of creating transformative social change by starting their own chapters of the WE Club and learning how to become active citizens in their communities. This past year, Kells Academy English elementary school, middle school, and high school students opened three new chapters of the WE Club, with one at each of the school’s locations. In founding these new chapters, students met to decide which international and local campaigns they wanted to learn about and organize, raising awareness and funds to support the associated pillar. The newly formed WE Clubs began their year by taking part in the WE Scare Hunger campaign, collecting canned goods for their local food bank. The campaign was a big success, with Kells students donating over 270 kilograms to the NDG Food Depot! 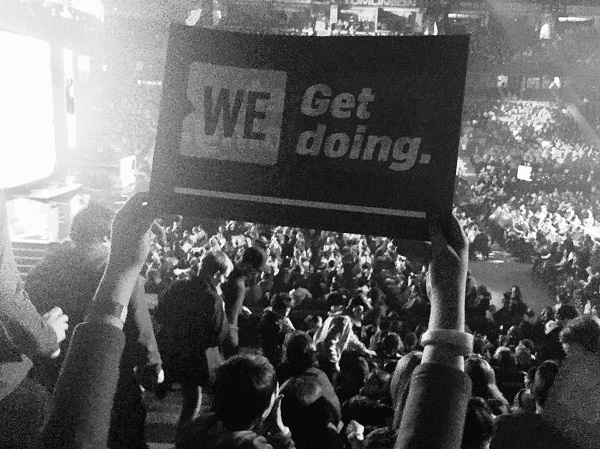 Students in all three WE Clubs also had the opportunity to attend the Ottawa and Montreal WE Day events. Both were stadium-sized events bringing together a wide range of inspiring and world-renowned speakers, performers, and activists, to celebrate a year of positive action with students and youth. Some of the speakers at this year’s events included big names like Kareem Abdul-Jabbar, John Orlando, and Sonreal, as well as leading activists like Simone Aslan, Angel Baribeau, and Craig Kielburger himself. 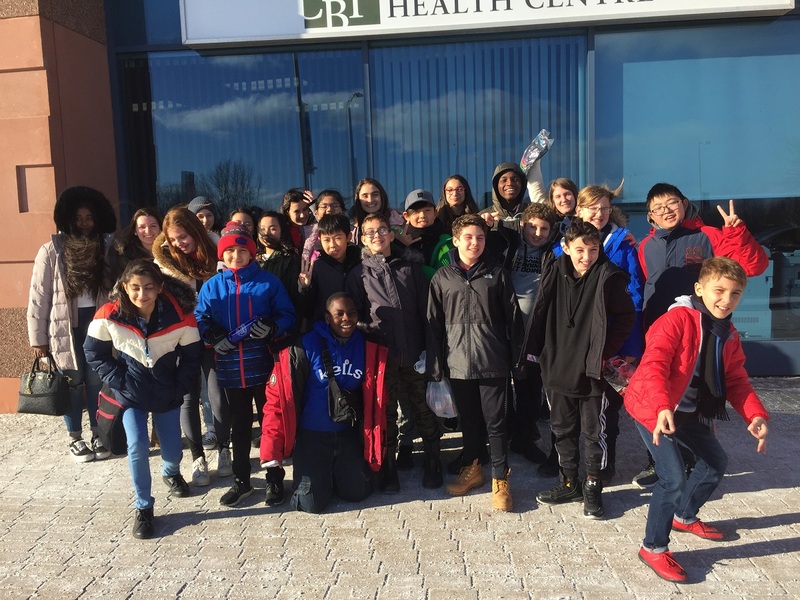 During the winter, students were informed about the high number of Canadians struggling with homelessness, and decided to take action to create positive change in their communities. In partnership with the Student Council, Kells English high school, middle school, and elementary school students collected items to fill shoeboxes that were then decorated with inspirational and heartfelt messages and given to the Native Women’s Shelter in Montreal, an organization that provides accommodations, support, and frontline services to First Nations, Inuit, and Métis (Aboriginal) women and children. 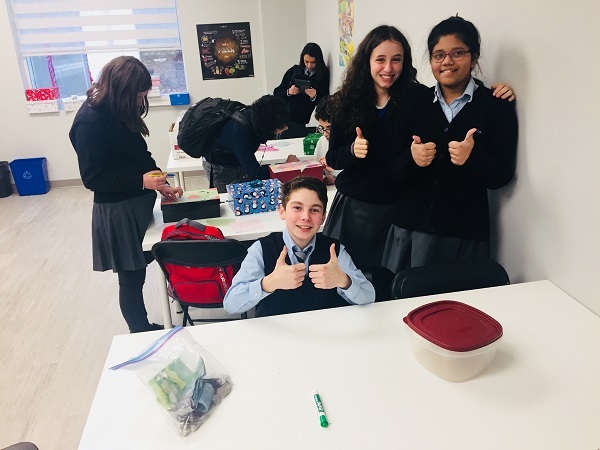 More recently, all three clubs took part in the WE Bake for Change Campaign, where club members came together to decorate and sell baked goods, with funds going to support one of the WE Charity’s five pillars. The Kells community raised approximately $500, with students donating their proceeds towards education, in recognition of its important role in helping communities break out of cyclical poverty. Are you looking for a school that offers students the opportunity to give back? Contact Kells Academy to learn more about our private English school.